Extreme Value. Excellent central downtown location with private green space. Value value value. Roomy roomy roomy. Fully renovated. Less than $1,600 maintenance with strong financials. Don't miss seeing this undervalued large size 3 bedroom 2 full bath before it sells. Private residence with gates and security with fantastic value in downtown Manhattan. Private lawn for residents and more private green space with playground. All bedrooms fit king size beds. Interest is high. Make an offer. Where can you find another 3 bedroom 2 full bath apartment in downtown Manhattan for this low price and access to great green space and parking? End unit with sun exposure from all directions. Open air views from all rooms. View of Brooklyn bridge. Watch firework shows over Brooklyn bridge from bedrooms. 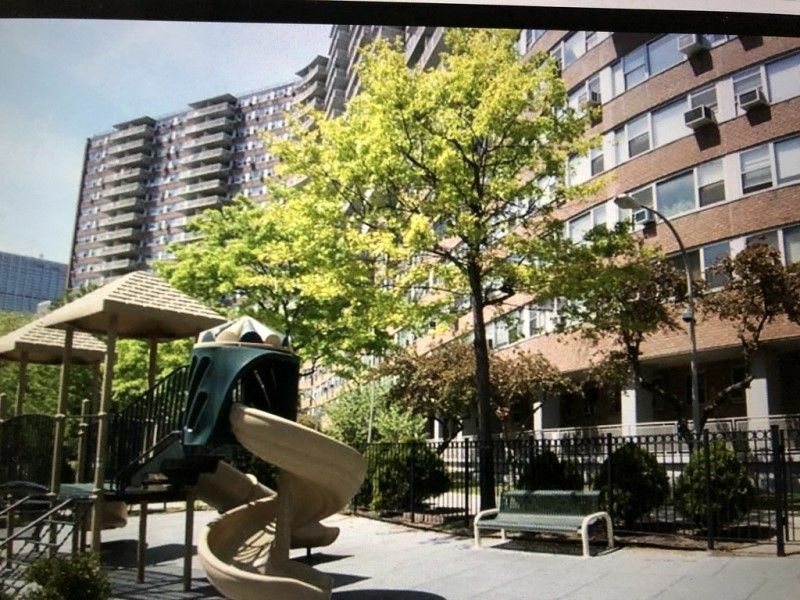 2 acres of private green space, parking by wait list, security on site. Bike storage, storage, large private lawn, garden, park for shareholder use. Family friendly with 2 shareholder bbq's a year. Strong board, strong financials, new management company, new live in super. Laundry in building. Board approval required. Owner also Treasurer of Board at Chatham Green. Coop board approval required for qualified buyer.